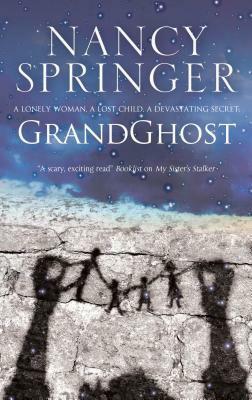 GRANDGHOST BY Nancy Springer – Books, Books and More Books! Beverly Vernon is a widow who moved to Florida and is trying to adjust to the lifestyle, the language and the tea as sweet as candy! With both of her daughters still living up north, she is on her own, with her art. She illustrates children’s books with lovely, imaginative arts. But boy would she like some grandchildren! She is trying so hard to make sense of what her place in the world is now and when she unearths a child’s body in her back yard she gets way more excitement than she bargained for! Obviously the poor thing met with an unkind end and she decides to paint a portrait of what the child may have looked like all those years ago. Only the painting she leaves on the easel is not the one she finds in the morning. It just may be that the child has never left the house and is trying to communicate with her. With both daughters believing their mother has lost her marbles and her holier than though neighbor trying to get her committed to the loony bin, Beverly charges full steam ahead and tracks down this childs family with the help of some great characters. Although this could be a ghost story it was more the story of child abuse and secrets. Secrets that ruin entire families and how by reaching out to strangers can change their life and yours. This was a heart breaking tale as well as a heart warming tale of faith, acceptance, love and making a new family. Very nicely done. Not what I was expecting, but I still enjoyed it!